Microelectromechanical Systems (MEMS) are tiny devices with movable/vibrating parts providing solutions for sensors and actuators. Initially derived from the microelectronic industry, MEMS are now found in a wide range of consumer products. 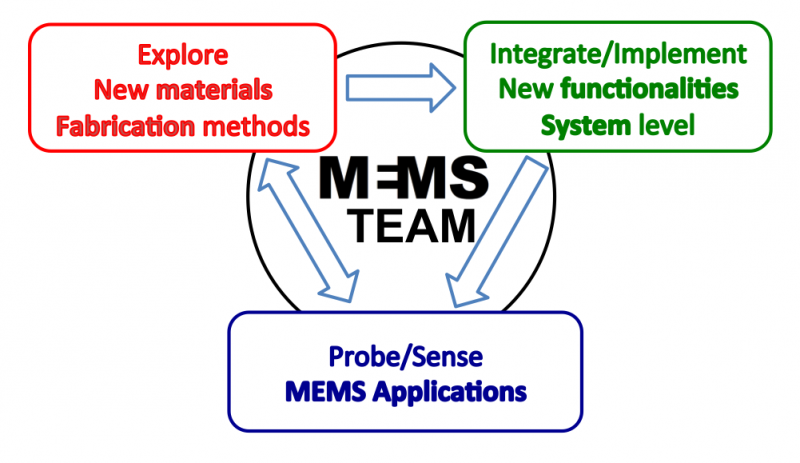 The MEMS research team at LAAS works towards increasing the performance, the reliability, and the integrability of MEMS devices but also towards providing new functionalities and transduction mechanisms. To this aim, projects developed in our team focus on three research themes: the exploration of novel materials and alternative fabrication methods; the integration and implementation of new functions at the system level; and finally the development of dedicated instrumentation and the applications of MEMS as sensors and probing elements. 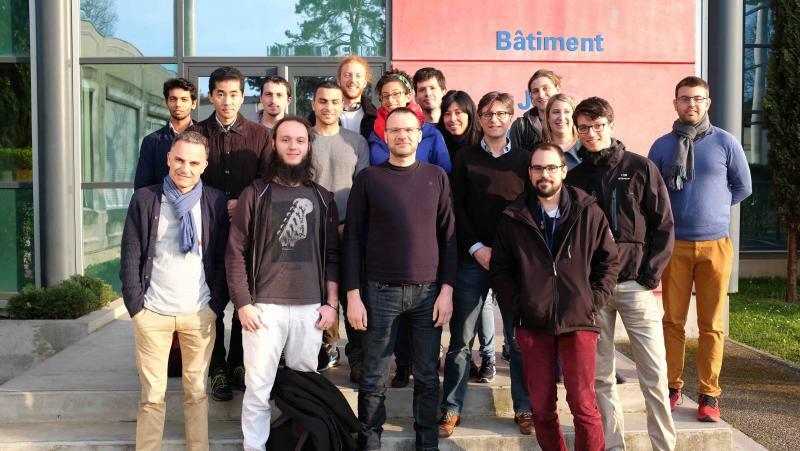 The MEMS team gathers researchers of various and complementary backgrounds. Research projects conducted within the MEMS team are carried out in the framework of the LAAS technological platforms, among which an extensive cleanroom, characterization facilities and a biochemical lab, allowing our team to work at all stages of MEMS fabrication, from the device design to its integration.